Boasting a whopping 2.8 billion active users, it’s clear that your audience is on social media. 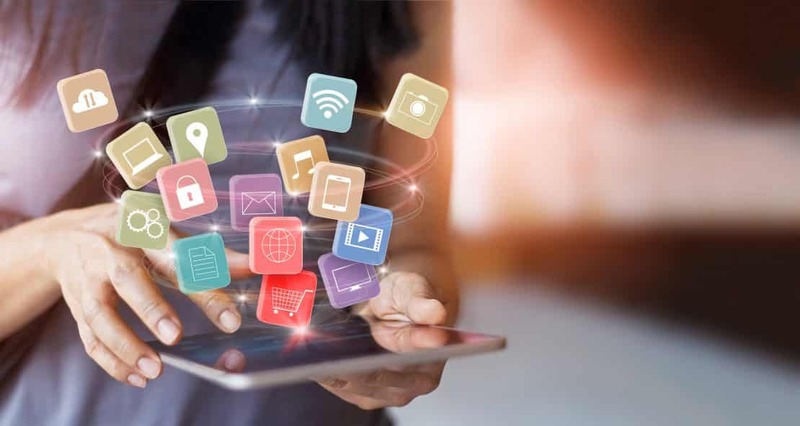 The vast majority of consumers are using social media networks to discover new brands, engage with their favorites, and research content via product reviews. Having an active presence on social media is crucial if you desire to reach today’s consumer. Your social media marketing must be fresh, engaging, and move followers to action. Yet, on the #1 social network, only 45% of marketers believe that their Facebook efforts are effective (Source: Hubspot). Many brands are lacking in their strategy because they’re either not doing social media right, failing to post consistently, or simply unsure of how to market. As a result, they’re not achieving the desired results that are possible on social media. The good news is, leveraging an inbound marketing agency for your business can help revive and accelerate your social media marketing. Inbound marketing experts are equipped to get you results in areas like brand awareness, increased followers, and lead generation. 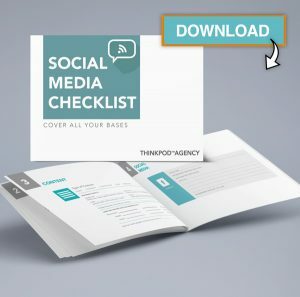 In fact, here are four big ways your inbound marketing agency can aid you in your social media strategy. Social media has become a competitive space with many forces fighting for your customer’s attention. From family and friends, other businesses, to news and media sources, your follower’s timelines are full of content seeking to be noticed. Therefore, it’s becoming increasingly challenging to get in front of your audience organically and drive engagement. An inbound marketing agency ensures that your target market is clearly identified so you publish content that speaks to their interest. You see, quality-rich content wins on social media. By sharing posts that are targeted, super relevant, and highly useful, you’ll capture attention and foster engagement. You’ll create content that effectively gets in front of your audience to produce consistent results on social media. Finally, your inbound marketing agency will help you maintain a consistent posting schedule, delivering the right content at the right time when your audience is most active. In addition to increasing brand awareness, having a steady presence on each of the major social media networks allows you to appeal to various audiences and offer different ways for potential clients to reach you. You’ll appear to “be everywhere” helping to boost your credibility and exposure in the industry. However, each social media channel has its own rules, culture, best posting times, and ways to connect with its followers. Taking a cookie-cutter approach where you post the same message on all of your networks will yield fickle results. For example, what works on Facebook, which tends to be a casual, humorous environment, may not necessarily work on LinkedIn which resonates more with business professionals. It’s important to recognize that increasing engagement requires understanding the audience to be truly effective. Therefore, you must tailor your content appropriately when publishing on social. If you attempt to speak the same way on each network, you may disengage some of your market. The advantage of using an inbound marketing agency is all the guesswork is taken out on how to successfully market on social. You’ll have a clear plan that compels users to stop, look, and engage…regardless of which social media network you’re posting on. NEED TO UP YOUR SOCIAL MEDIA GAME? Every great social media strategy requires a plan, but who has the time to update one every year? 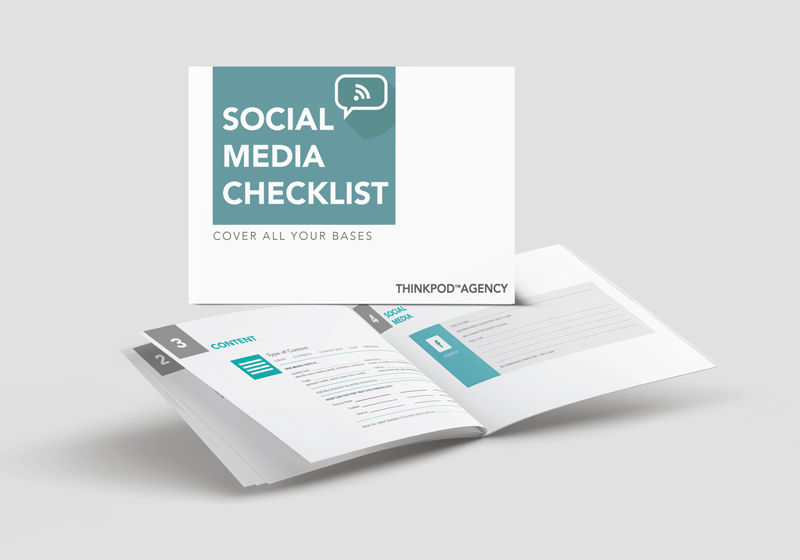 Cover all of your bases with this all-in-one checklist. The key to an effective social media marketing strategy is moving your followers to action. Shares and clicks are favorable behaviors on social because they boost awareness and get you in front of more people (shares), or they drive traffic to your website or landing pages (clicks). These actions drive positive measurable business results that support your ultimate business goals (i.e. increased traffic and lead generation). Additionally, it’s vital you publish content that aligns with the different stages of the buyer’s journey so you cater to followers at all phases. While some may have heard of or are customers of your brand, others simply may be in the discovery phase. Having content that appeals to each stage strategically moves prospects closer to your brand and the buying decision. During content creation, your inbound marketing agency will help you create messages that support the buyer’s journey and get people clicking on your posts. Whether by sharing your blog content, how-to product videos, or an infographic, you’ll experience greater responses because your followers will intimately connect with your content. You’re speaking directly to their needs and interests…a key ingredient to encouraging engagement. A huge advantage to hiring an inbound marketing agency is the chance to leverage their expertise and knowledge in the industry. You see, digital marketing is constantly changing and evolving. Staying abreast of the latest trends and strategies while also running a successful business can be challenging to say the least. An inbound marketing agency saves you precious time and energy to focus on what you do best. Your team will become highly efficient and begin to generate consistent results online. It’s a win-win! An inbound marketing agency positions you for growth in your social media marketing. Your business will achieve better results in boosting brand awareness, followership, and traffic and lead generation. Having an agency on your side will prove to be a huge asset to your brand. Are you ready to leverage an inbound marketing agency Five Channels to get in front of your target audience, generate qualified leads, and grow your revenue? Reach out to us here and let’s chat! As a HubSpot Certified Partner, we’re equipped to help your brand excel in social media marketing.